Do you have a tooth or some teeth that are cracked, damaged, chipped, causing you to chew differently or look unsightly? You might even have noticed that you are speaking differently because you have issues with certain teeth. There are many ways to correct these issues, but one that is fabulous is CEREC same day porcelain crowns. What are CEREC same day porcelain crowns? 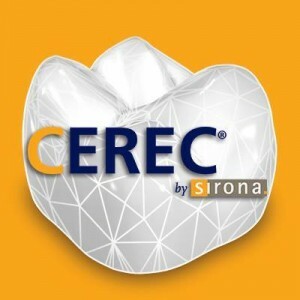 CEREC stands for Chairside Economical Restoration of Esthetic Ceramics, or CEramic REConstruction. What that means is, simply, that you can get a tooth crown in one dental visit to our Derry NH dentist office! It’s a marvelous dental technology that can save you time and give you a healthy, beautiful smile faster than ever before! Why is CEREC so amazing? Traditionally, getting a dental crown meant several visits to our office near Londonderry and Windham NH. One visit to make the mold of your teeth. Then the dentist sent the information to the lab, which would make the dental crown. Once the dental crown or dental crowns are ready to go, you came in for another visit. Then the cosmetic dentist would place the dental crown. Yes, that isn’t the most time-consuming process ever. But what if it could be less? CEREC same day porcelain crowns take one day! One office visit! The entire process is different. The dentist uses special CEREC same day porcelain crowns dental technology that gives him the information to create a dental crown right in the office. That information is plugged into the CEREC same day porcelain crowns machine, which sculpts the dental crown while you wait. The dental crown process is precise, efficient and proven to be effective. Once our Derry NH dentist is finished sculpting the dental crown, he prepares your tooth to place the dental crown. The dental crowns are as sturdy, long-lasting, durable and attractive as regular porcelain crowns. They just take far less time! You can have the restoration of your tooth done quickly, giving you your smile back. If you want more information about the remarkable CEREC process, call our Derry NH office serving the Londonderry and Windham NH communities today!